Dr Jason Karalus has over 20 years as a chiropractor both in Australia and overseas. 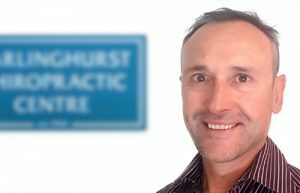 He has worked in the practice since 2007 and is now the owner and principle chiropractor at Darlinghurst Chiropractic centre. He has worked at Macquarie University as a lecturer and clinical supervisor. He has also been the principle practitioner at many national and international sports events including; surfing, volleyball, ironman, swimming and surf life saving. He also worked on the medical team for the Sydney 2000 Olympics. Though Jason enjoys the challenges of helping patients with severe debilitating conditions and sport injuries he advocates that prevention is better than cure. He says that a well functioning and maintained spine is not only less likely to be injured, it also heals faster following a trauma. As the spine protects the nervous system, regular adjustments not only keep the aches and pains at bay but improves your overall health and well being. He is proficient in a number of chiropractic techniques including; diversified, gonstead, cox flexion distraction, thompson terminal point, activator, impulse and arthrostim. He also utilizes several adjudicative therapies in holistic approach to care including; trigger point, PNF, muscle energy, cold laser, ultrasound and infrared light. DCC offers HICAPS claiming, simply bring your health insurance card to your visit.